C&IT's Teambuilding Experience of the Year award was won by agency All About the Idea for the Coca-Cola Rugby Ready event held in the build up to the 2015 Rugby World Cup. 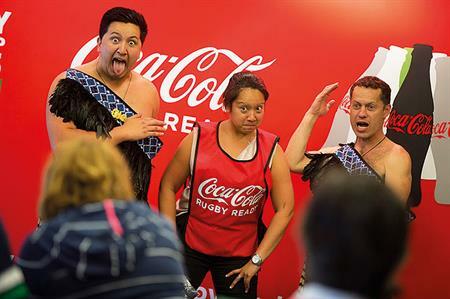 When England hosted the Rugby World Cup last year, Coke wanted to explain the benefits of sponsoring the Rugby World Cup to the people working for the company. As part of this rugby-themed teambuilding event, Maori dancers taught a special haka while delegates had the opportunity to join in the sporting fun. All the haka performances were filmed, with the best team winning tickets for a box at the Rugby World Cup. More than 1,000 employees attended the event with 96 per cent scoring it as good or outstanding.